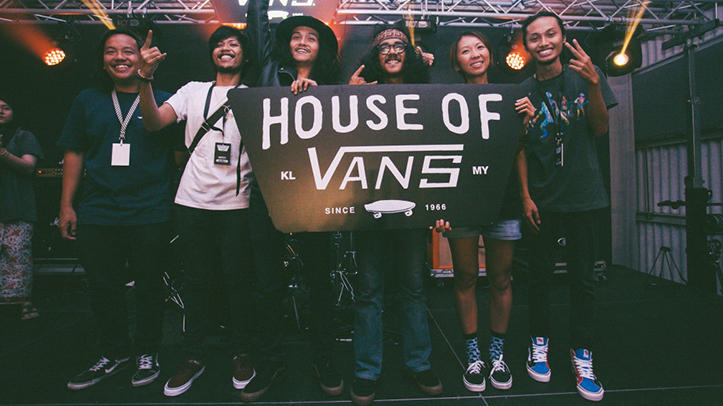 “It’s a place where imagination lets loose over concrete bowls, art installations, workshops and concert stages, inspiring every person who runs, rolls, or stomps through its door.” Jalan Hang Kasturi is the destination for this year’s iteration of House Of Vans, and this year, Vans is bringing out the big guns. 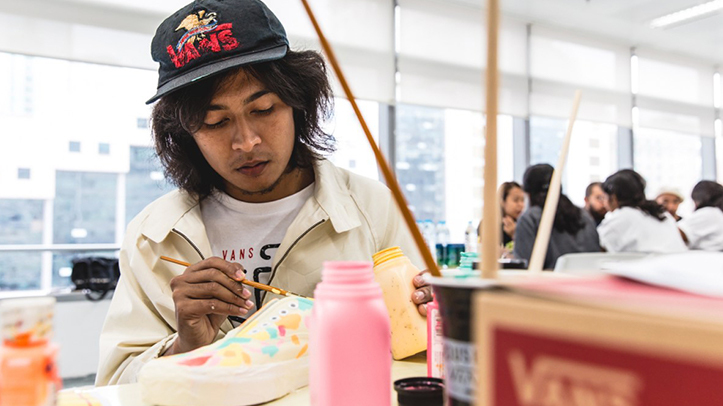 Kiddhir Baharuddin, or better known as Kide will headline this year’s Vans Custom Culture, having previously won the competition in 2017. Participants will get to design their very own custom Slip-On template under his tutelage, and showcase their creative chops! A communal effort for all things waffle, the group has come together to showcase some ultra rare Vans, from numbered collaborations, and several highly coveted limited edition silhouettes. 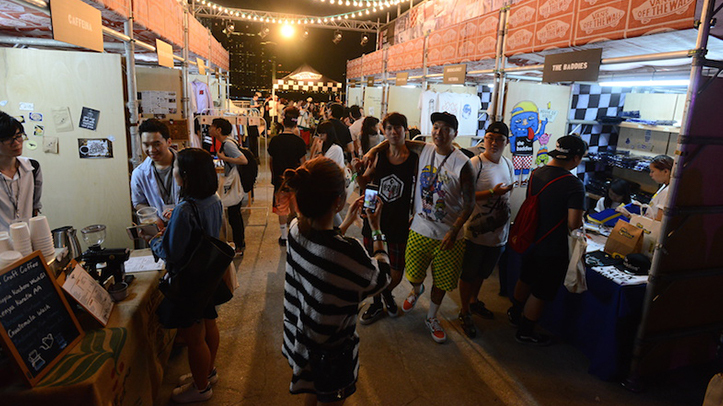 A hub for all things arts and craft, the Street Market is a closely curated marketplace showcasing a mix of up and coming talents as well as established artists to come together in a melting pot of all things art. 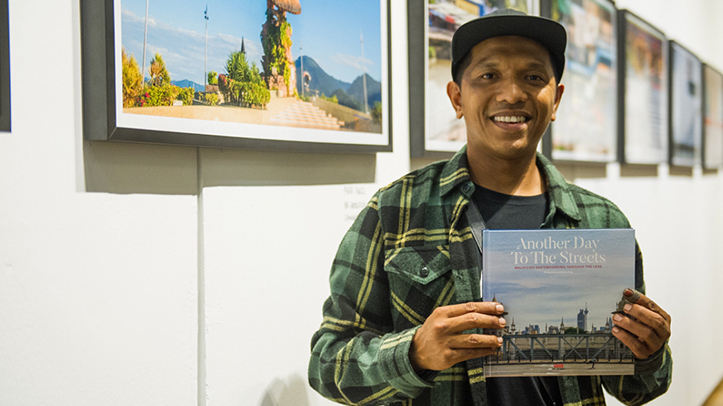 After helming the reigns during the last Vision Walk, one of Malaysia’s most renowned skate photographers exhibits coverage of the local skate scene here for the past decade, with intricately composed shots, capturing a skater’s emotions, tricks, and its community. 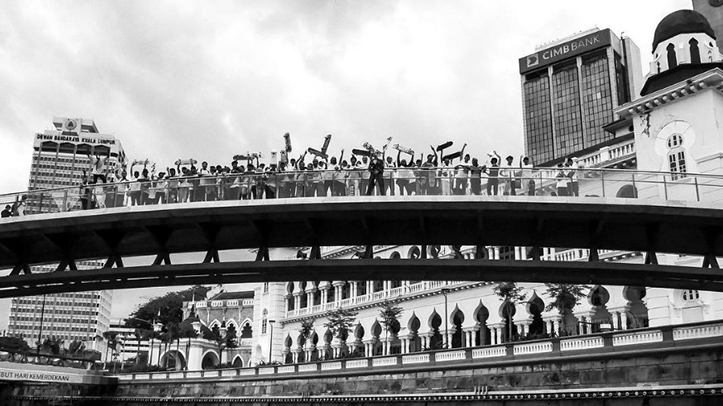 Ride along with Vans as skaters go back to their roots, hitting one spot after another as Kuala Lumpur is slowly conquered, the classic way. Welcome to temple of Mister Tuck’s, where skull skater monks commit themselves to an everlasting damnation of martial skate training. Hailing from Singapore, Tucks has managed to fuse oriental artwork with street skate culture, having his designs featured for pro skaters Dennis Busenitz, Ishod Wair, and Kyle Walker under Real Skateboards. Often the last word when it comes to discovering local rappers in the hip-hop scene, look no further than Jhin’s Masterwork, Raising The Bar. With several sold out shows, a nationwide tour, and two fullfledged festivals under its belt, RTB is headstrong in turning over every rock and pebble in its mission to discovering and promoting young talents, all the while exposing its fans to new acts and performances from other corners of the globe. Look out for new acts Hullera, Abubakaxli, Dan $hiv, Pele L., and Dato’ MAW for a night filled with intense bars and hard hitting beats! Abraham Donald takes you on a journey, informing its participants that even old, broken things can still be beautiful. Follow along as the man teaches you how to repurpose old skateboards and turn them into beautiful pieces of artwork. 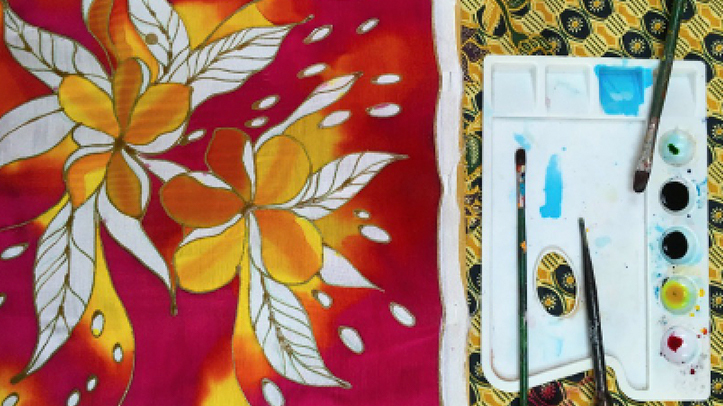 An evergreen type of art that’s unique to the Southeast Asian Archipelago, Batik is a traditional method of fabric printing, and follow along as Sharina Shahrin teaches you the workings on how to perfect the art. 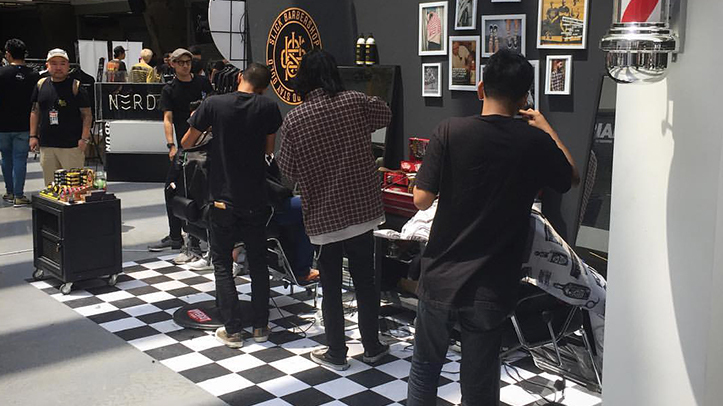 If you’re finding yourself in need of a haircut, the boys from Slick Barbershop are here to trim your fade, and the best part is, they’ll do it for free! After previously having Shah Azman to teach conceptual photography, Ajiem Serr to guide us the ways through skate photography, Annatasha Saifol now joins the ranks to bring us her definition of photography. 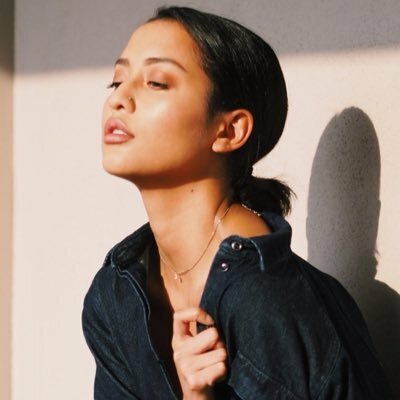 A purveyor of all things art, photography happens to be one of three prongs that make up her life, with the other two being music and baking. 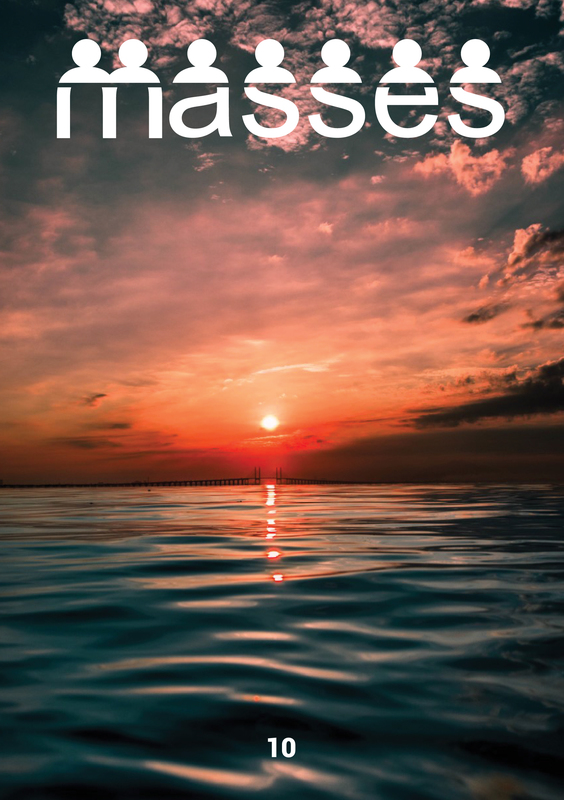 So come and take a Vision Walk with her as she delves into her rendition of arresting moments with her trusty DSLR. 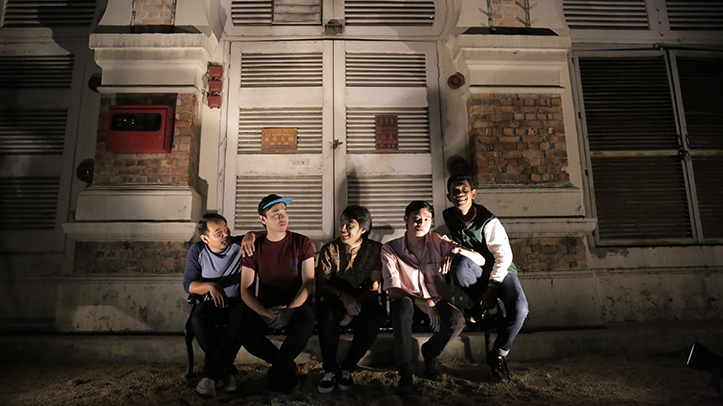 4 finalists have been selected for a slot to perform at House of Vans Guangzhou in September! 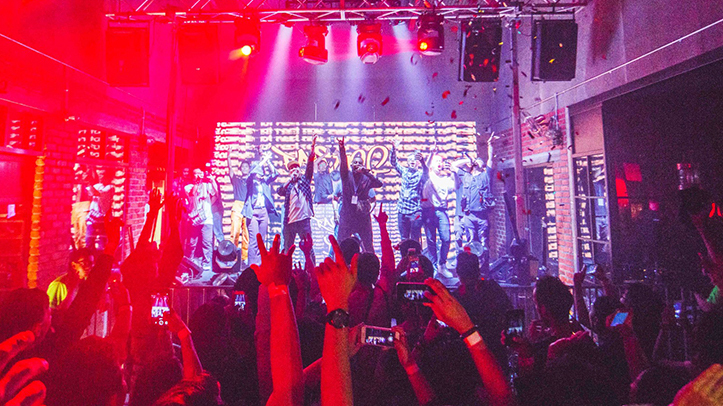 From the likes of Faris Fuad & Konfederates, Allester Shaun, Kapow, & K-Clique, watch as the finalists bring their A-game for a chance to showcase their music in international waters. No event would be complete without a gig, and Vans have delivered it spectacularly. From newly rising artists from the likes of Milo Dinosaur and Luna.dira, paired together with icons such as Plague Of Happiness and Iqbal M., come experience a slice of diversity that reflects what Vans is all about in the form of music.